As usual, Clozette Indonesia has a monthly gathering and I have a chance to attended one last May. One of the sponsor of the event was SilkyGirl Indonesia. The main topic of the gathering was how to create a video. But, unfortunately I came late and the 'how to create a video' session was finished. Everyone that attended the gathering at that time was given a challenge to create a casual makeup video tutorial with products that we got from SilkyGirl goody bag. Oh yeah, this makeup is a simple makeup that you might easily recreate and appropriate for everyday use. Oh yeah, I also make a hijab video tutorial. 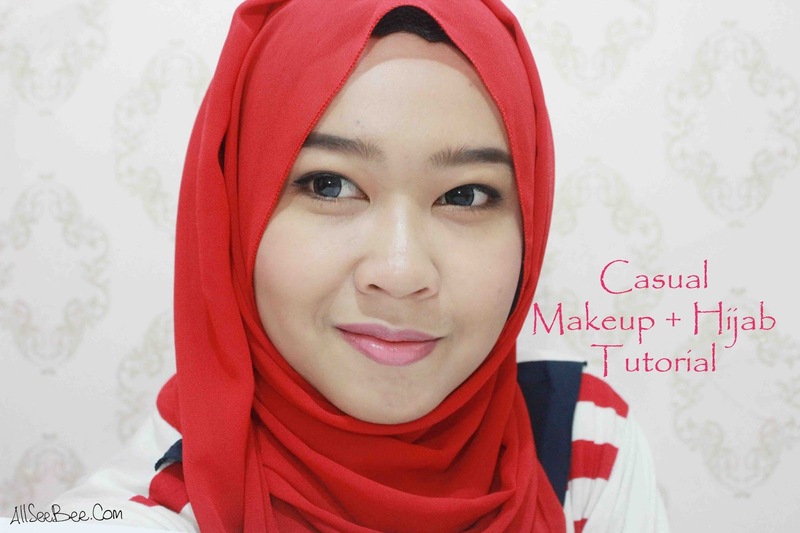 This one is a simple hijab that you can do under two minutes. I really hope you enjoy my videos. Please do tell me if there's something that I have to correct or improve from these videos. Your comments will be really helpful for me. See you on my next post (or video).